Plus: PRWeek's Women to Watch; and Carlos Ghosn leaves a Japanese jail for the first time in 108 days. PRWeek is celebrating the next generation of women leaders in the industry with its Women to Watch list, saluting forward-looking executives from the agency world and companies from Spotify to MillerCoors. And keep an eye on PRWeek.com next week when we introduce the 2019 Hall of Femme class. Profitability at Grayling increased in both the U.S. and the U.K. last year despite a global drop in like-for-like sales of 7.6%, according to Paul Taaffe, CEO at parent company Huntsworth. He also said the performance at fincomms agency Citigate is "quite sluggish" in continental Europe compared to the U.S. and U.K.
What major brand has the best reputation? It’s no longer Amazon, which slipped from the top spot, according to research from Axios and the Harris Poll. 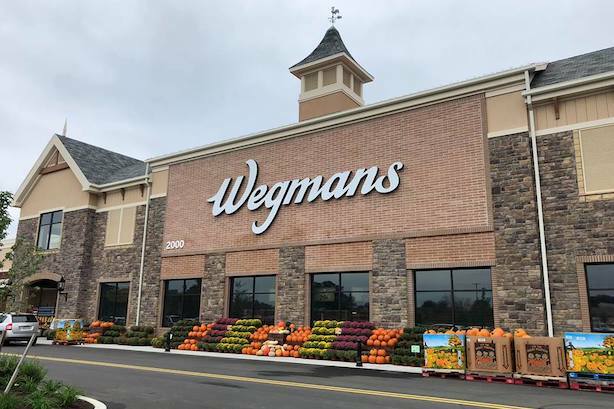 The super-retailer has been surpassed by grocery chain Wegman’s. Last on the list: the U.S. government. When North Dakota State’s football team visited the White House this week, President Donald Trump served them food from McDonald’s and Chick-fil-A in two more recent examples of the president embracing major brands. However, most companies have been reluctant to return the favor, according to The Washington Post. Carlos Ghosn is free from a Japanese jail after posting $9 million in bail. The one-time business superstar left the detention facility dressed in glasses, a baseball cap, and a facemask this morning. Ghosn was arrested in November on financial misconduct charges.